Made New Again is a fully licensed and insured Houston Environmental Service Company serving the greater Houston and surrounding Bay Area communities. Our mission is to provide astonishing service and be your best investment in cleaning and restoring hard surfaces. 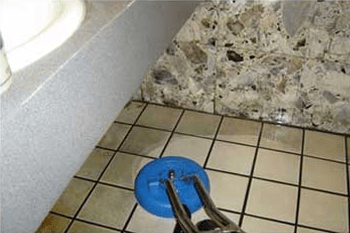 Tile and Grout Cleaning is our specialty, and we also clean and restore other Hard Surfaces, carpets, and upholstery. We provide concrete polishing services as well. Trained to dye, color or polish your bare floors and provide you an astonishing look. We also can remove and extract chewing gum and grease from sidewalks without any damage to the concrete. In addition to cleaning concrete, we apply specialty coatings to hard surfaces to protect them from damage and also extend their life. We strive for 100% satisfaction by providing professional, affordable, high-quality service. Satisfaction is always guaranteed. As an owner-operated business, we are committed to continuing education, and utilize the most advanced equipment in the industry. Made New Again company is certified and approved vendor by the Institute of Inspection, Cleaning, and Restoration. Members of the National Tile Institute, Carpet Rug Institute, Moisture Management Institute, Indoor Air Quality Association. Recognized also by the state of Texas as a certified Mold Consultant and Water Damage Restoration and Applied Structural Drying. We are an accredited business listed with the Houston Better Business Bureau and support an A+ rating. With Made New Again, there are no surprises and no hidden charges. We’ll clean your floor or hard surface like it has never been cleaned before! You will really be amazed and agree that your Tile, Carpet, Driveway, Bathroom or Upholstery has been Made New Again!!! *Please note: We do not give quotes over the phone, but can give a general estimate as needed.